Streamer camp has come and gone, and it was — like the rest of them — its own unique experience. It’s winter up here. There is snow on the ground. It’s seven degrees right now as I write this. Seven degrees! 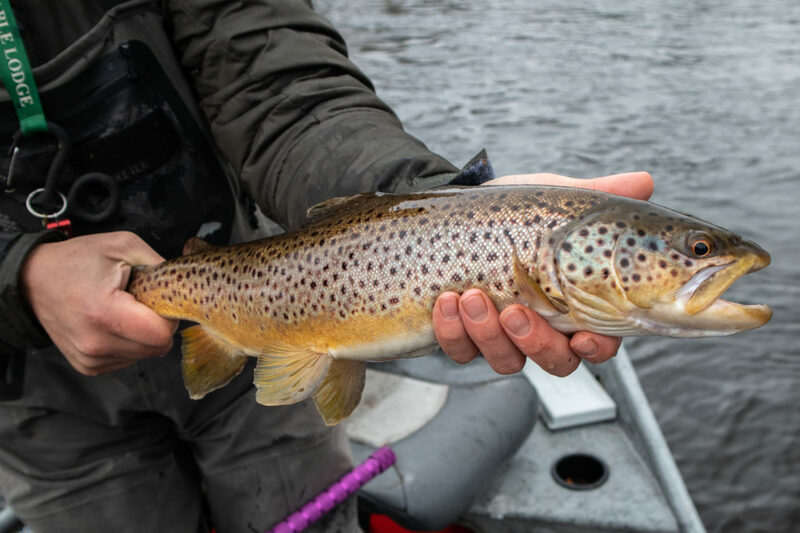 The rivers are pocked with departed spawning beds, and the trout are in their winter spots. 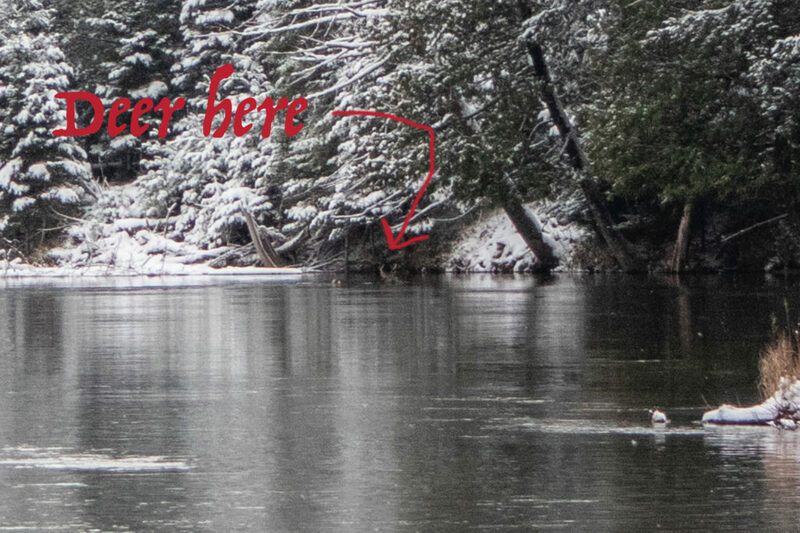 I know that dirty water is usually associated with good streamer fishing, but in the winter, at least in my experience, clear water is best. The next day began slow but improved after lunch (danish, Sun Chips). Black streamers fished deep thru the trenches were the ticket. 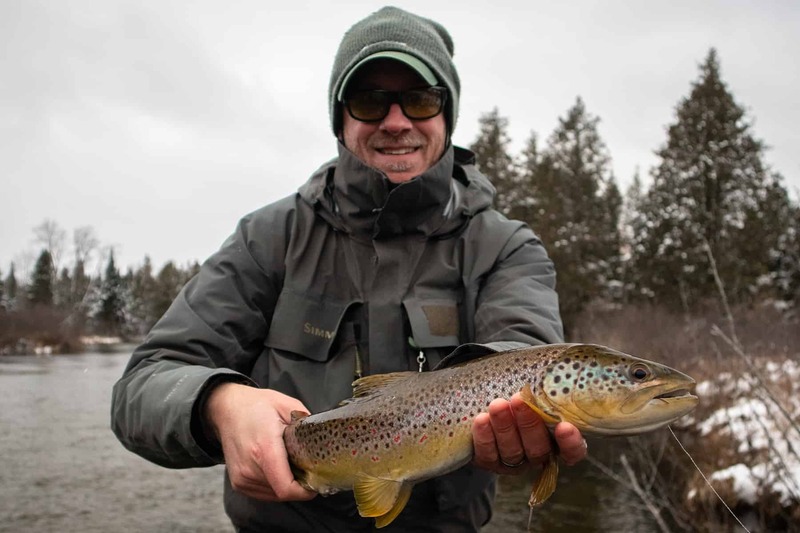 As is common this time of year, we would go an hour with zippo, and then hook two nice trout from the same run. Yesterday was the best day yet, The boys rocked the trout in the cold. 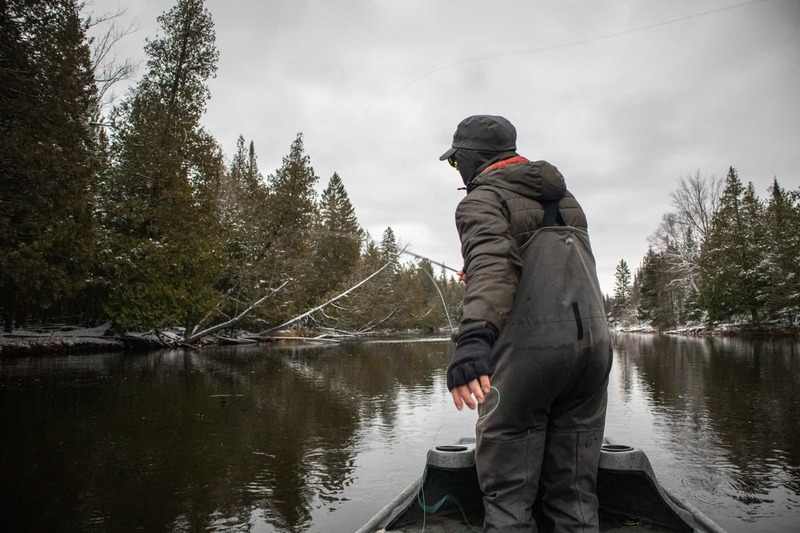 “Good” and “miserable” often coexist when describing winter trout fishing. About 30 hours ago, I took my friends from Ohio to my best grouse spot. Matt and I grew up together. We set up adventure races in our backyards, we played endless hours of basketball, we struggled through AP English, and I even taught him to fly fish. 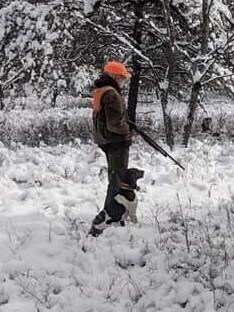 His dad, Dan, was the one who instructed me on bird hunting by lending books, campfire advice, and showing me, thru his beloved shorthairs, how a hunting dog is meant to be. It was a driving snow from the north, and there were already a few inches on the ground. But the grouse were plentiful and the dogs were solid. And then, in all the wind and snow, the older dog, Jack, went missing. Now, I’ve had dogs go missing. Most hunters have. And here’s how it usually goes: for an hour, maybe two, we blow whistles and we fret and we pace and we’re just about to call someone, and then the dog returns. But Jack stayed missing. The snow came sideways, and the light went behind the western hill, and we set Dan’s old sweaters in the snow in case the dog came back, and we backtracked endlessly, until our socks were soup, until our paths in the snow — now moonlit — crossed into helixes that laced across my coveted covert. By 10 pm — four hours after dark — we sadly figured that he had tangled with a porcupine, that he’d been quilled to the point of incapacitation. We called and blew the whistle. I drove every logging road I knew. I imagined that dog could hear us — hear everything, like dogs can — and couldn’t respond. That, if we were lucky, we would find him a few dozen yards from our boot tracks, jaws locked around a porcupine, hundreds of quills projecting like guard hairs across his head. I imagined him there under that sliver moon shivering beneath a spruce, voice hoarse, beeper battery long since dead, and not a howl in his throat to save him. The next morning we began searching deadfalls, looking now for a frozen bird dog. We gridded out. I spoke to the folks that owned the big tract of land to the north, who were preparing their deer camp, who were very nice and also very firm in rejecting my request to search their property. We put more tracks in the fresh snow, overlapping the rounded ones we’d left the day before. By three pm I was spent, and headed home for a nap, then to prepare my deer hunting gear and my component of deer camp dinner. But the word was out, and as I lay down I realized I’d missed a call from my friend Duane, who said that he’d read on Facebook that a shorthair was running down Chase Bridge Road, by Forest Dunes, wearing an orange collar. This sighting was some fifteen miles from where we’d been hunting, and 24 hours since the dog had gone missing. I grabbed a coffee and hit the road, pushing every mph of the new M-72 speed limit. I called Matt, who was still at the old hunting spot kicking deadfalls, and told him that I was en route to a possible sighting. “But there are a lot of shorthairs in this county,” I said. I flew down Chase Bridge road, a cloud of snow behind me. I drove past Forest Dunes, and past Thayer Creek, and turned around at 7-Mile, and as I headed north, on the right side of the road, like the grandest apparition, like even a winter’s mirage, stood Jack. Collar on. Bell dangling. Left front leg sleeved in brown. The dog, scared and cold and wanting only his true owner, fled. He fled up into the hills. And though I was later joined by Matt and Dan, and though we searched and blew the whistle and called his name up to the stars, and though the coyotes wailed and the deer hunters paused from their deer camps to listen with us, we could not hear an answering bark or whimper, or even the jingling of the bell. 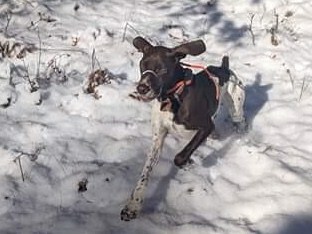 If you see a male German Shorthair matching this description, please call or text me at 989 390 2829. His name is Jack and he’ll be now two days in the woods, and on Opening Day morning besides. He was last seen on Thayer Creek Road a few hundred yards north of Seven Mile Road… both are off of Chase Bridge Road. Tomorrow is opening day of the Michigan firearm season for deer. This means that, at minimum, anglers should wear orange. 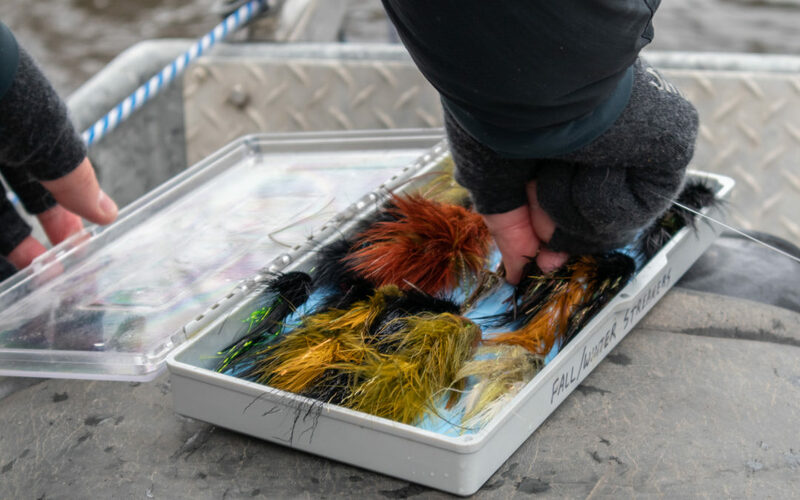 In my experience, the hunting traffic thins out considerably after the first weekend, but just be aware of your surroundings and fish accordingly. I generally stay on the Holy Waters when I’m fishing during the first week of rifle season.